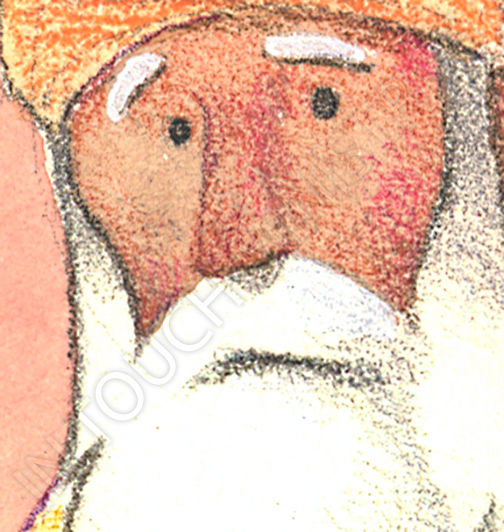 A couple more teasers from the storybook project. I’m having way too much stinkin’ fun on this! My kids and I play this game where each of us makes numbered lists- two of adjectives and one of nouns- and then the other players call out random numbers. Whatever adjectives and noun we hit are what we have to doodle. 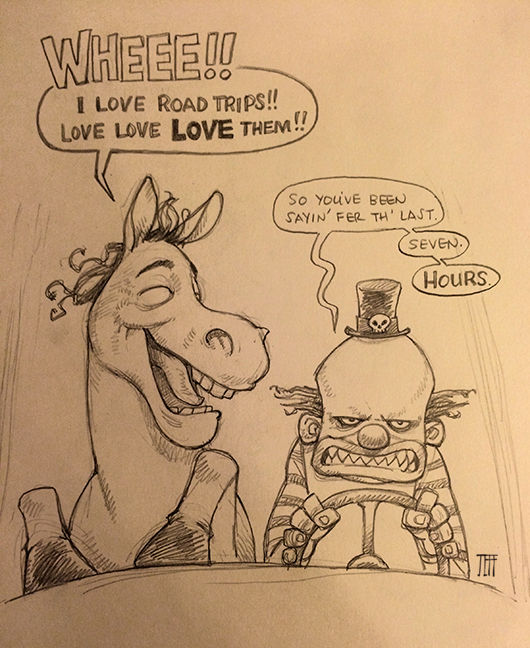 I drew a doubleheader (one from my son’s list and one from my daughter’s) and my subjects were “happy screaming horse” and “mad scary clown”, hence the jolly little joyride you see before you.